The organisation of the Finder Darts Masters has confirmed the first three wildcards for their youth event. Jurjen van der Velde, Keane Barry and Nathan Girvan have received an invite for the tournament in Egmond aan Zee. 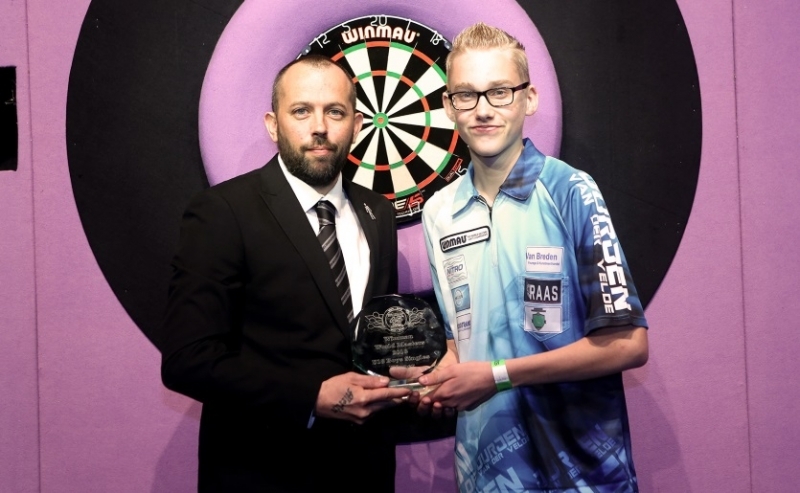 Van der Velde claimed the title at the Winmau World Masters for boys last week. He is one of the big names on the junior circuit and can not be missed at the Finder Darts Masters. Also Barry from Ireland is added to the field. The Irishman became second at the Winmau World Masters and played last year at the Finder Darts Masters as well, where he narrowly missed a final spot. Girvan is the third participant at the moment. The Scotsman reached the final last year in Egmond aan Zee and also became second at the BDO World Youth Championship in January.